As the Kreative Diadem Annual Creative Writing Contest enters its second year, we had an engrossing chat with the winner of the maiden edition in the poetry category, Chiamaka Nwangwu. She made the longlist for the Nigerian Students Poetry Prize in 2016. Her essay, ‘My Book Affair’ was published on TheAfroReader, a literary blog in 2017. In this interview, Nwangwu discussed her passion for writing and how she got the inspiration behind her winning poem, ‘Lights Out.’ Enjoy. KD: Who is Chiamaka Nwangwu? Let us meet you! Nwangwu: Hello. I am Chiamaka Doreen Nwangwu. I am from Nsukka in Enugu state. I live in Lagos. I am currently in my 4th year of undergraduate law at the University of Ibadan. I think I am a bit of a romantic. I love reading; I have a fondness for African literature. I also write a little. KD: When did you first discover your passion for poetry, what inspired you? Nwangwu: I did not exactly have a passion for poetry but literature in general. I consumed any book that piqued my interest, whether poetry, prose or drama. I think continuous reading motivates you to write. One of the first complete poems I wrote was in JSS1. Nothing special happened before that. I just picked up a pen. I must mention however that I was deeply inspired by my elder sister. She kept a red book in which she wrote beautiful poetry. I remember the titles and I remember the words, I felt like if she could write so well at such a young age, then maybe I could someday. KD: What are some of the challenges you face as a poet? What steps do you take to overcome them? Nwangwu: The dreaded writer’s block. The start that you are afraid you cannot finish. The words not fitting or sounding right. The gnawing fear that you might one day be unable to produce poetry. I face these ones. I try to be patient with my poetry. I keep trying until it sounds right. I usually finish a poem I start. If I am blocked, however, I leave it. I read any kind of literature that usually motivates or spurs me and then I go back to it. I write for myself so I try not to put pressure on myself. If the words come today, I will put them on paper but if not then hopefully tomorrow. Nwangwu: I think I am blessed to have been born in a world in which Chimamanda Adichie and Chinua Achebe lived. Their books inspired me and showed me that my story too can be represented in literature. I adore the modern poetry of Warsan Shire, Rupi Kaur, and Ijeoma Umebinyuo. KD: In 2017, you won first prize in the poetry category of Kreative Diadem’s annual writing contest. How did you feel about winning? Nwangwu: I was surprised to be honest. I usually do not put my mind to these kinds of things. I try not to get my hopes up so that I do not suffer a huge disappointment if things do not work out the way I want. I was pleasantly surprised. It gave me confidence that my poetry was indeed good. My elder sister always praised my poems but she has to, I am her little sister. Winning an actual competition gave me a bit of external validation and I am eternally grateful. KD: Let us get down to your poem. What was the inspiration behind Lights Out? Was there a specific message you intended to pass along to the reader? Nwangwu: I remember there was a fuel scarcity at the time and I passed a fueling station around where I live. There were so many cars at different angles, filled with different people. Others were carrying jerry cans and they looked determined to get petrol that night no matter the cost. I think I just went home that night and started to write. I tried to capture the plight of different classes of Nigerians and how we are collectively affected by the poor power sector. I want my reader to connect with the problems posed by the power sector in Nigeria and vow to do better if put in a position in power. I hope that anyone who reads the poem, in general, feels motivated to make a change for good in Nigeria. Nwangwu: I made the longlist for the Nigerian Students Poetry Prize in 2016. My essay My Book Affair was published on TheAfroReader, a literary blog in 2017. I am really hoping for more accolades. KD: What are some of your long-term goals as a writer? Nwangwu: Well, I honestly would like to write a lot more. I want to move into the prose genre fully and it would be amazing to be published by the New York Times for my work. I would like to publish my first novel at 25. KD: Are you currently working on any poems/books at the moment? KD: What advice would you give to aspiring poets like yourself, especially in Nigeria? Nwangwu: Keep reading. Keep writing. Keep motivating yourself, because you will not always receive encouragement from your peers. Believe in your dream; believe you have something to say to the world. Don’t put down the pen. Nwangwu: I applaud anybody, society or organization that celebrates the aspiring Nigerian writer. I love that Kreative Diadem does this by publishing poems and short stories, encouraging submissions and organizing competitions in an effort to award literary excellence. 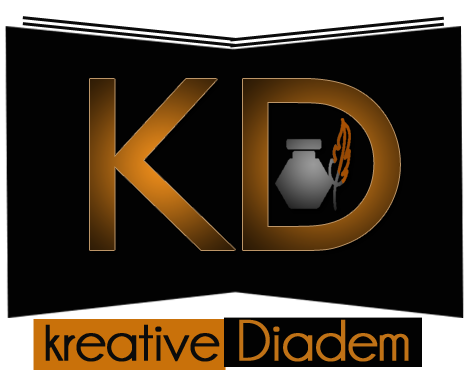 I hope that Kreative Diadem keeps up the good work. Nwangwu: Step out of the ordinary.